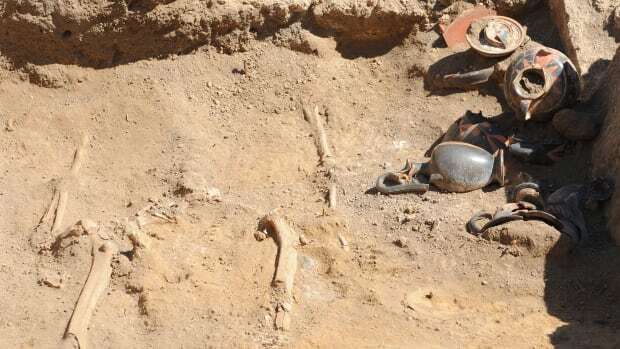 Archaeologists hope the Pyramid of Cestius, built in Rome early in the first century B.C., will attract more visitors after an extensive restoration partially funded by a Japanese clothing tycoon. After the Roman conquest of Egypt in 30 B.C., Egyptian architectural style was all the rage in Rome. 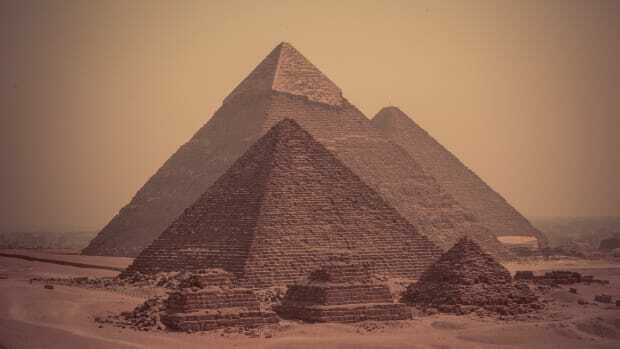 Though obelisks and other monuments inspired by Egypt’s great pyramids sprung up around the city, only two actual pyramids are known to have been built. The only one left standing, the Pyramid of Cestius, was constructed as the burial pyramid for a Roman praetor (magistrate) named Caius Cestius. 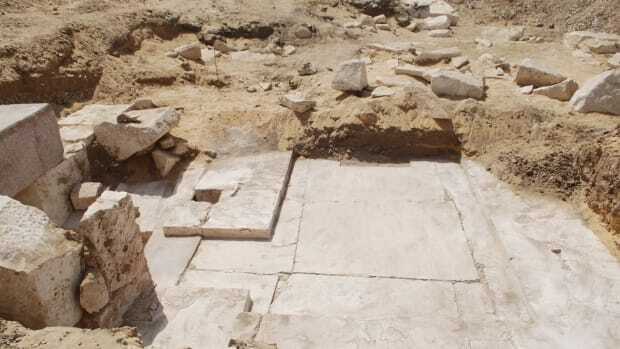 In his will, Cestius stipulated that his heirs construct his tomb in the form of a pyramid, and that construction be completed within a period of 330 days. Erected between 18 B.C. and 12 B.C., Cestius’ pyramid was constructed of brick and cement, covered in white Carrara marble. 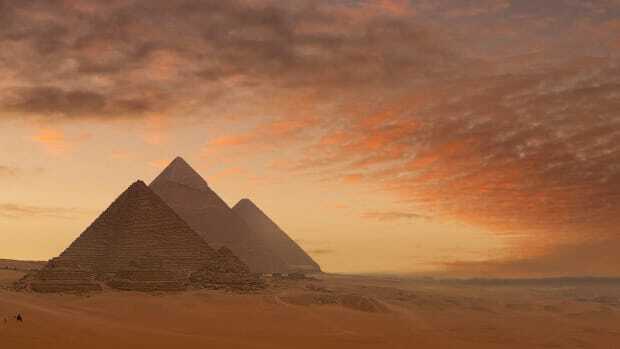 It rose at a more extreme angle than the Egyptian pyramids that inspired it, a difference that could have been the result of inaccurate information sent back to Rome by soldiers or others who saw the pyramids in person in Egypt. Alternatively, Roman builders working with concrete could have built a steeper pyramid as an innovation, or they could have drawn inspiration from the steeper Nubian pyramids built near Jebel Barkal, in present-day Sudan. 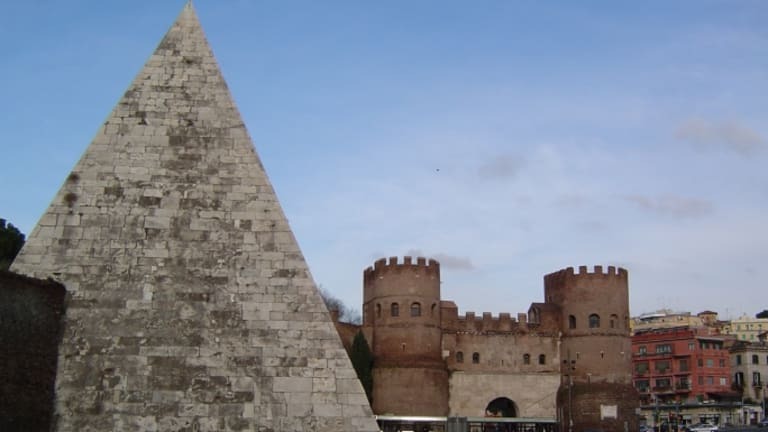 In the third century A.D., the Pyramid of Cestius was incorporated into a system of walls built on the orders of Emperor Aurelian; this probably helped it survive throughout the centuries to come, even as other ancient monuments deteriorated. The second pyramid built in Rome during the Egyptian craze, located near the Castel Sant’Angelo, was stripped and destroyed during later building crazes; its marble was used to build the stairs of St. Peter’s Basilica. By the middle ages, popular myth held that Rome’s two pyramids were the tombs of the city’s legendary founders, the twin brothers Romulus and Remus. Cestius’ actual tomb and the inscription identifying the pyramid as his weren’t rediscovered until the 1600s. The pyramid underwent its first modern restoration at that time, and was restored again in 1999. Though Cestius’ pyramid was originally located well outside of the city itself, over the years Rome’s boundaries extended and the city grown up around it. Today, the pyramid’s foundations rest below street level near a heavily trafficked intersection, so that a passer-by could easily fail to notice its full height of 119 feet (36 meters). Across the intersection is the Piramide station, located on Line B of the Rome Metro. 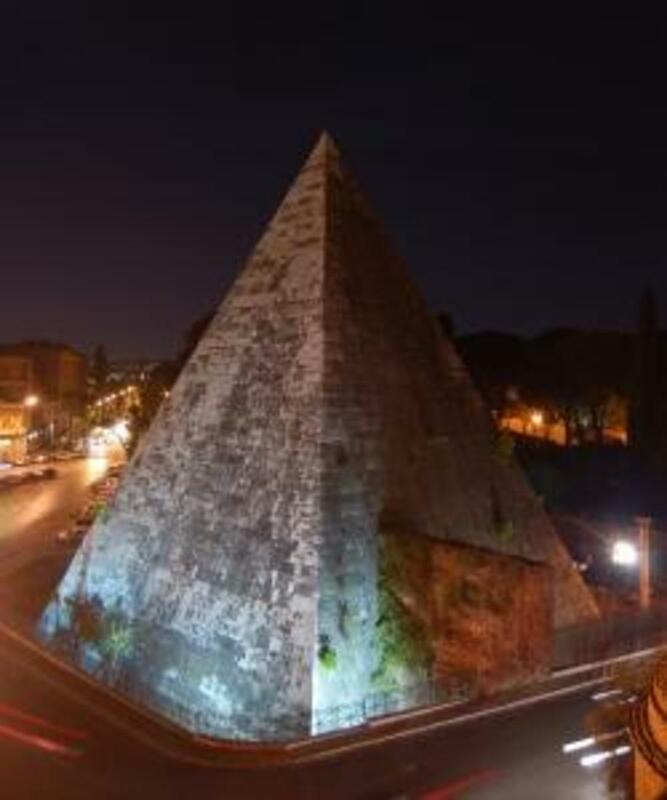 In 2011, the Japanese clothing magnate Yuzo Yagi, president of Yagi Tsusho LTD, announced his intention to help the Italian government pay for an ambitious cleanup and renovation of the Pyramid of Cestius. “It’s an act of gratitude,” he later told Agence France-Presse. “Our company has grown thanks to Italy.” Work began at the site shortly after Yagi signed an official agreement with the Special Superintendency for the Archaeological Heritage of Rome, and was completed ahead of schedule thanks to his 2-million-Euro ($2.7 million) contribution. 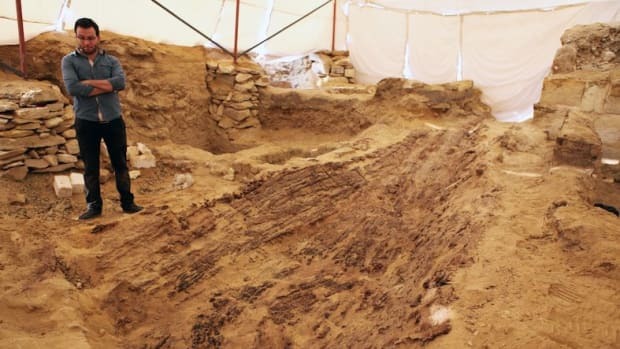 As archaeologist Leonardo Guarnieri explained to the Associated Press, officials are now conducting tours of the newly renovated pyramid twice a month by reservation. Visitors who take advantage of the tour can make their way through a narrow corridor in order to enter the burial chamber itself. The walls of Cestius’ final resting place are covered in frescoes. Their simple depiction of figures is similar to the frescoes preserved at Pompeii, the doomed ancient city located near modern-day Naples. 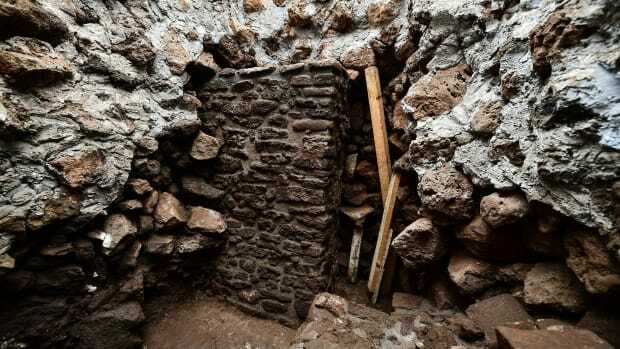 No one knows what happened to the urn containing Caius Cestius’ remains, but there is a tunnel going upward from inside the burial chamber, fueling theories that medieval grave-robbers dug their way in centuries ago. Similarly, many more frescoes originally adorned the walls, according to early visitors to the pyramid, but most have disappeared. In the wake of the restoration, the Pyramid of Cestius will be cleaned every few months to remove the persistent coating of grime that covers its creamy white exterior, thanks to urban pollution. A team of free-climbers will do the job, in order to avoid placing unsightly scaffolding around the newly welcoming monument.